Drive Medical Guard Water Mattress which is manufactured by Drive Medical. Drive is a leading manufacturer of Home Medical Equipment products. At ADW Diabetes, we offer a complete product line by Drive Medical. The Guard Water Mattress by Drive Medical is excellent for people who want the convenience and comfort of a water mattress. The mattress has three water baffles within the mattress which enhance movement and support to reduce the pressure and adapt to varying body weights. The mattress has filling lines and "foot placement" lines for the correct patient positioning. 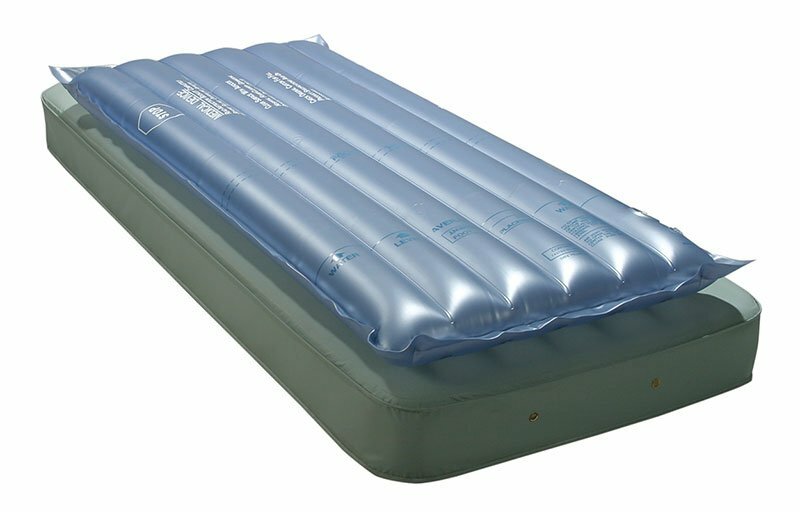 The Water Mattress has double sealed seams to provide the maximum amount of strength and durability. The vinyl material construction is highly resistant and is easy to clean with any mild detergent. The Water Mattress is perfectly designed with the user in mind.